2. Take a boat tour of Niagara Falls, zero distance to feel the magnificent and waterfalls of Niagara Falls. The bus tour will begin by traveling to Corning, New York to visit the Corning Museum of Glass which is the largest glass museum in the world with more than 45,000 objects from over 3,500 years of glassmaking history. You will also see live, narrated glassmaking demonstrations. Afterwards the bus tour will take you to Niagara Falls. The Falls is collectively made from the American Falls, Bridal Veil Falls, and the Canadian Horseshoe Falls and are famous for their beauty and as a valuable source of hydroelectric power. 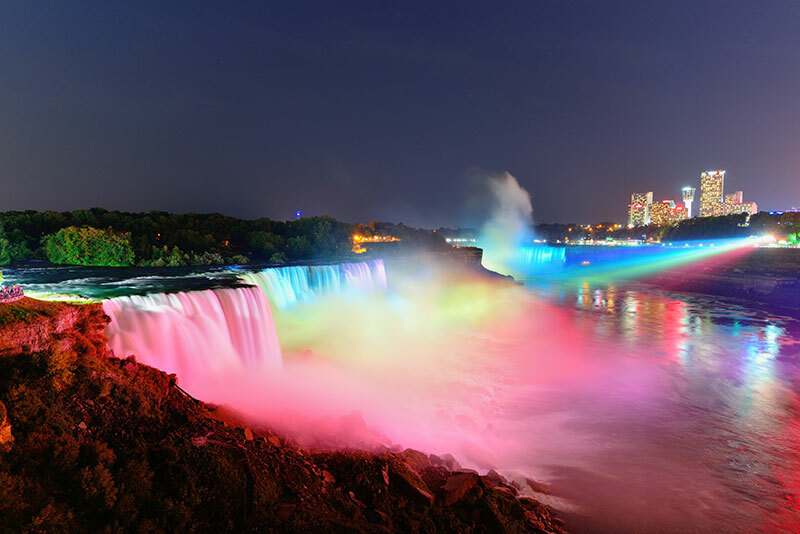 In the evening you can enjoy breathtaking views when the intense spotlights shower the falls with different shades of rainbow colors. The Falls is also a place where many couples come to admire the beauty of the falls while enjoying a romantic evening. In the morning the bus tour will see the spectacular views of Niagara Falls up close. A ride on the Maid of the Mist boat ride (seasonal) will soak you as you explore the roar of the Falls. This historical ride is a half hour thrill of a lifetime and is North Americas oldest tourist attraction as millions of visitors have enjoyed the boat tours since 1846. You will also go to the IMAX Theatre to experience the Falls like never before. Here you can see "The Falls Movie: Legends and Daredevils" - one of the most spectacular IMAX movies of all time. You will sit in a giant six-story movie screen and feel the power of 12,000 watts of thunderous digital surround sound where you can see behind the mist, myths and mysteries of one of the most storied natural wonders of the world. 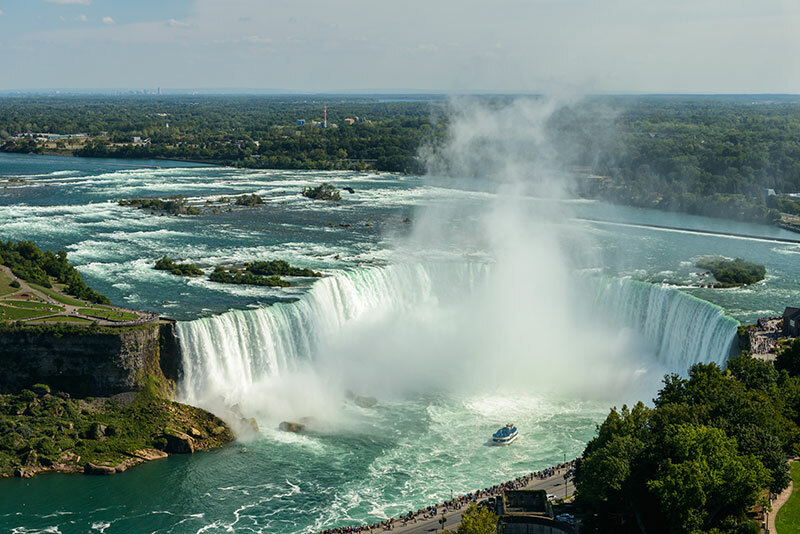 You will also go to the Skylon Tower where you will enjoy a trip to the top of this world-famous Niagara Falls attraction which combines an exhilarating 52 second ride with the awe of seeing Niagara from 775 feet above the mighty Falls. 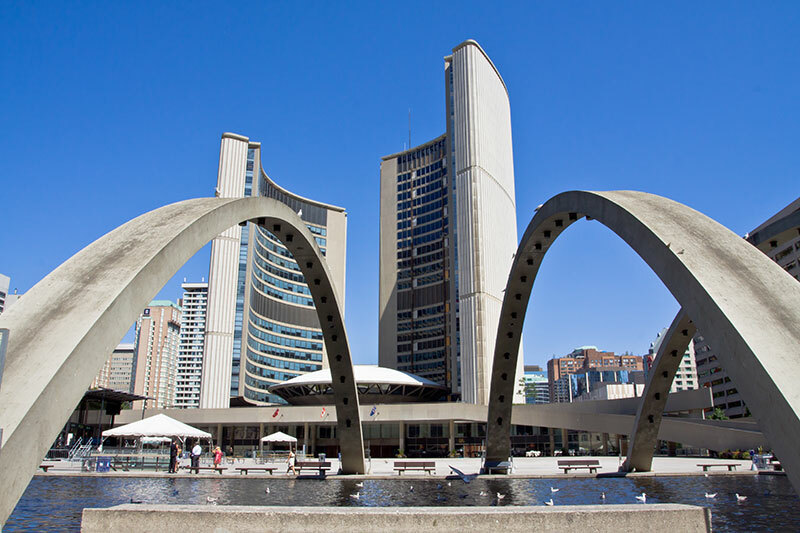 Afterwards the bus tour will travel to city tour of Toronto, the Capital of Ontario. 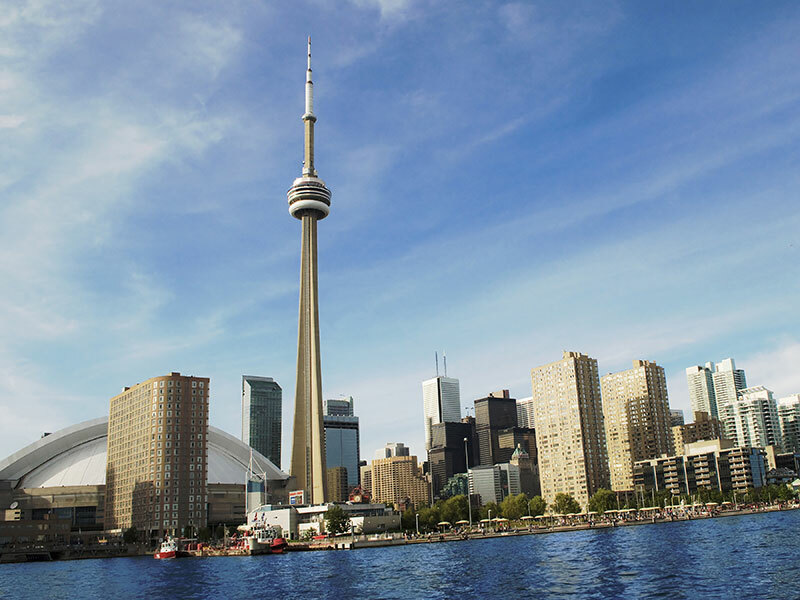 You will also visit CN Tower, Americas tallest freestanding structure. Here you will get a chance to see the breathtaking views of downtown Toronto or look straight down from the glass floor. In the morning the bus tour will to Thousand Islands area. 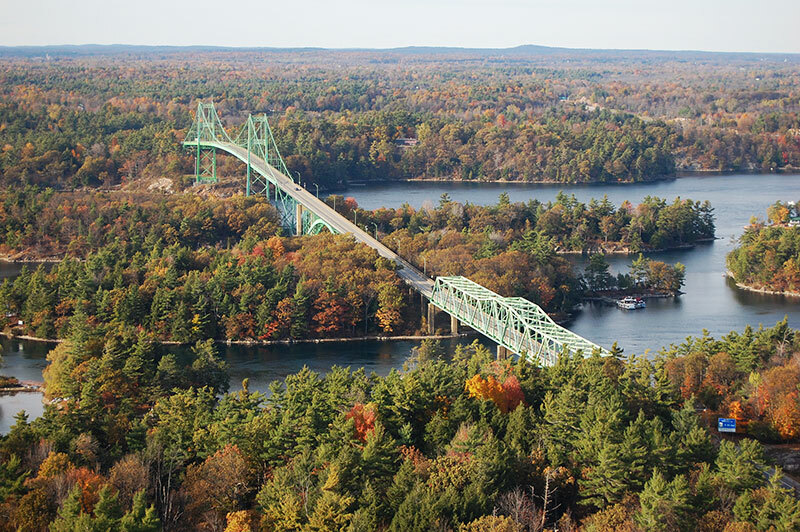 The Thousand Islands consist of 1,864 islands that vary in size from mere points of rock to those of several square miles in area. Here you can enjoy a relaxing boat ride in the St. Lawrence River (seasonal) to see the world famous Boldt Castle, Millionaires Row, and Zavikon Island with the "shortest international bridge in the world". Afterwards the bus tour will return to New York City.